Offered here is one of the two legendary Kaliber Group A Sierra Cosworths built by Andy Rouse Engineering for the 1988 British Touring Car Championship. Chassis ARE KAL 0988 was built and used in the 1988 season and driven predominately by Guy Edwards to four podium finishes. 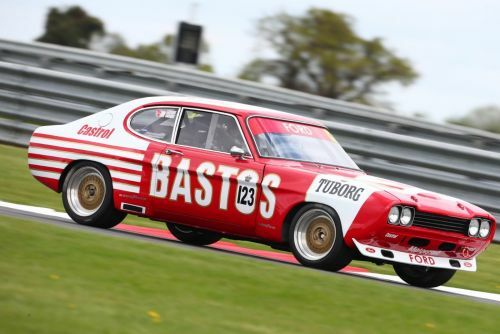 Throughout the season the Kaliber Sierras were the cars to beat and in a golden era the spectacle of these seriously powerful touring cars belching flames defined a magnificent chapter of saloon car racing. At the end of the season, Andy Rouse Group A Sierras’ were very much in demand and one car went to Peter Brock and #ARE KAL 0988 was sold to Adrian Fu who raced the car at Macau and various rounds of the Asia Pacific Series. 0988 then left Asia and was entered in the 1992 James Hardie at Bathhurst for drivers Ken Matthews/Rod Jones/Mike Newton and was then displayed in the Bathurst Museum until purchased in 1993 by our vendor, an accomplished Kiwi racing driver and businessman, who continued to race the Sierra in the New Zealand Endurance Championship after some re-engineering by Peter Brock. Wins at Timaru International Motor Speedway and Teretonga helped him to win the Championship with co-driver Murray Cleland in 1996. After 1997, the Sierra was retired and remained uniquely within the ownership of our vendor until being shipped to the UK last month. 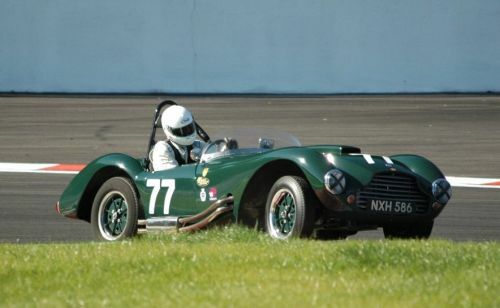 In 2016/17 it was decided that the Sierra should be totally rebuilt and returned to its original livery with the possibility of running in Archibald’s Historic car series in NZ, which it later did most successfully. In period, the car was continuously developed and evolved with input from Australia’s favourite son Peter Brock and all this hard-won know-how has been incorporated into the rebuild. The specification does include the original Zytec system which has benefitted from various upgrades primarily enlarging the fuel delivery capacity. The engine is a new, long-stud, 205 block with only fifteen hours of running designed to run with 2.1 bar boost producing 540 bhp with much of the engineering carried by renowned tuner Ivan Tighe of Brisbane with particular attention being paid to cam profiling and reliability. Much of the suspension work was engineered by respected specialists Harrop Engineering of Brunswick in Victoria applying new manufacturing processes to the Peter Brock suspension. The Brock driveshafts which, in the day were recognised as twisting less than anyone other preparers, were reverse engineered. Both driveshafts are new and the complete rear end has new bearings, A basic spares package is available together with the prospect of a very complete inventory to support a race effort over many seasons. This is a superbly prepared 'Group A' Sierra Cosworth that, in the right hands, could undoubtedly be the front-running car in the HSCC 'Supertourers' series, the Grand Prix Legends Touring Car Challenge, as well as numerous prestige events throughout Europe.